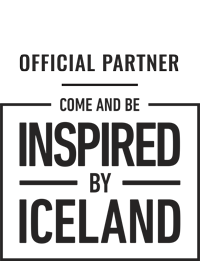 A seven-day journey unlike any other, replete with a plethora of incredible sights and experiences just waiting to be enjoyed. 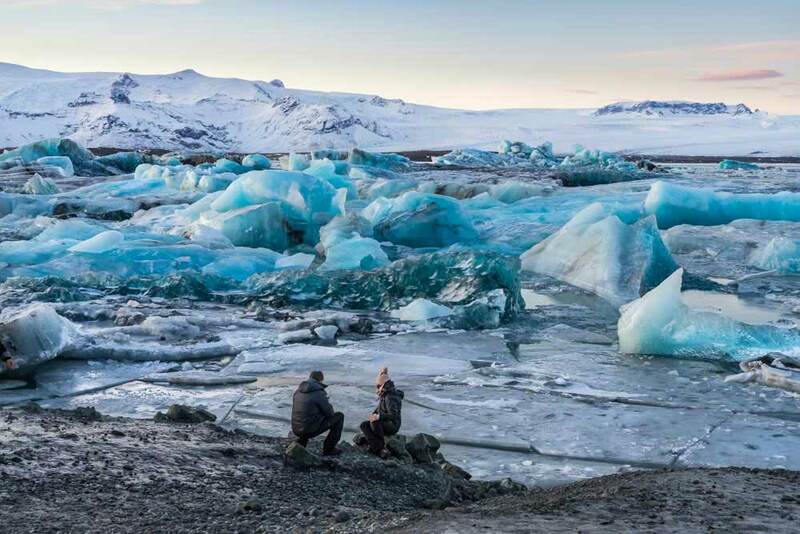 We will provide you with everything that you need to explore the land of fire and ice, then you can go wherever you want and see whatever you want. From the sublime to the astonishing and everything in between, this magical odyssey through the land of fire and ice, will allow you to see a plethora of natural wonders: jet-black foreboding volcanic beaches, mighty glaciers, capricious volcanos, seething geysers, glittering diamond lagoons, picturesque villages, cascading waterfalls and much, much more, you name it and this tour has it! It is a journey unlike any other, taking you through contrasting landscapes that are awe-inspiring in their own unique way. 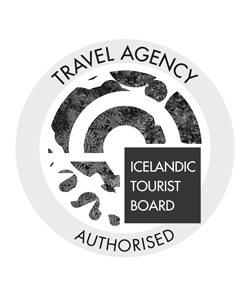 It is ideal for adventurous souls, who want to take control of their time in Iceland and see what they want to see. 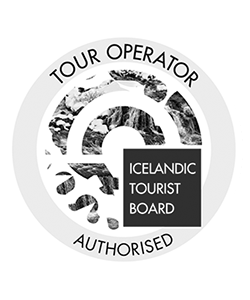 We will supply you with a detailed itinerary, accommodation each evening and a rental car, and from there it’s up to you: the land of fire and ice unfurling before you, just waiting to be explored! That entry to the Blue Lagoon is not included in the quoted price for the tour, meaning that you will need to book in advance at bluelagoon.com. It’s the ideal way to end your incredible Icelandic adventure. 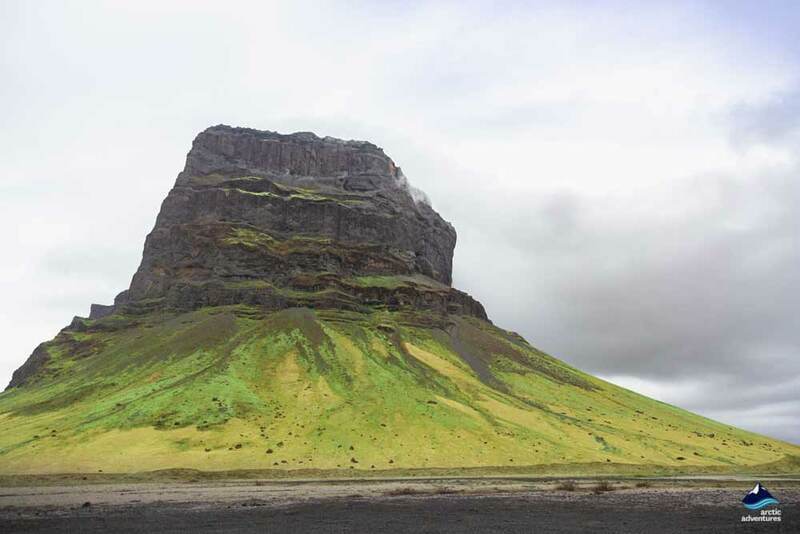 Your adventure in the land of ice and fire begins, when you collect your car from one of our designated pickup points, after which you will make the scenic journey towards the famous Snaefellsnes Peninsula. On the way you will see the colorful houses of Reykjavik, which are framed by the beautiful Mt. Esja that looms over the city and has come to be its totem. 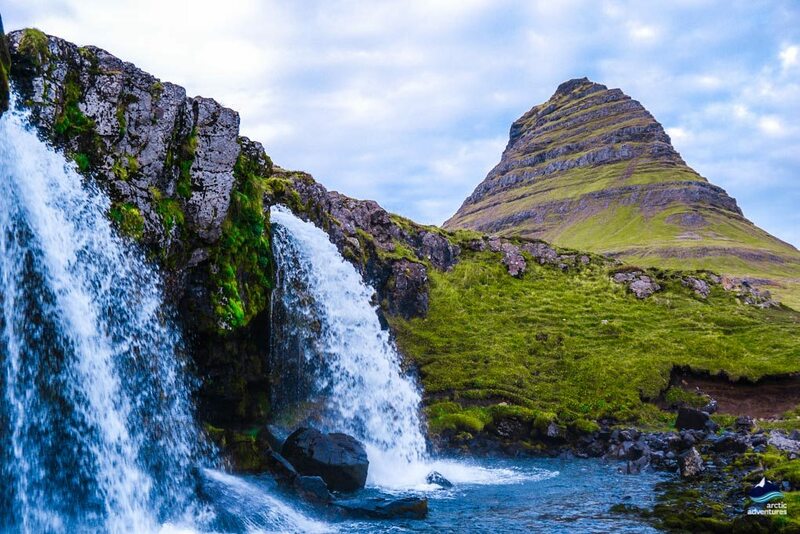 Once you have cleared Reykjavik, you will find yourself in the gorgeous Icelandic countryside and we recommend taking the coastal road, which will take you through the underwater tunnel in Hvalfjordur that opens out into the famous Borgarfjörður, known for its tranquil atmosphere and stunning natural beauty. If you are really lucky, you may see some whales swimming, although they tend to reside in deeper waters. Borgarfjörður is also home to the most powerful hot spring in Europe, Deildartunguhver, where huge plumes of steam rise off the bubbling waters. It acts as a natural central heating system for the nearby towns of Borgarnes and Akranes, making it an engineering marvel that is also good for our planet. From there, we recommend visiting two nearby waterfalls, both unique and beautiful in their own right. 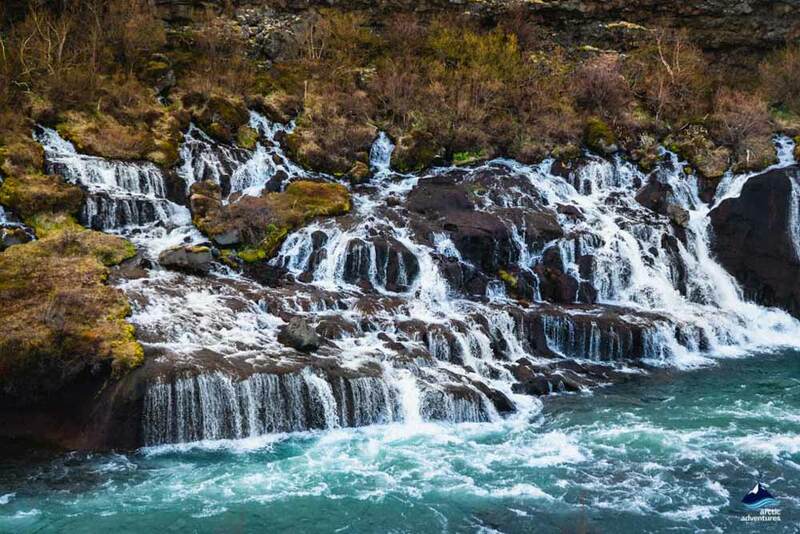 The first, known as the Hraunfossar Waterfall is made up of thousands of tiny streams that blend together into a cacophony of frothing white water, which is incredible to behold. Added to this are colorful rocks that have been dyed various shades of red, yellow, green and black, by the minerals in the area, which make it a visual feast that you won’t want to miss. 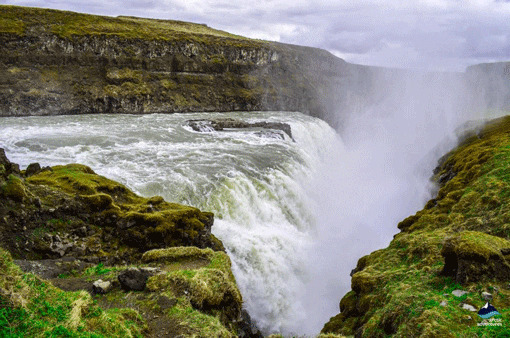 The second waterfall in the area is known as Barnafoss (the children’s falls), so named because two Icelandic children were supposed to have fallen into them and perished. However, despite this terrible piece of folklore, they remain a stunning sight, where milky water runs across jagged rocks that have been crafted by volcanic activity over the millennia. The falls are famous for the slightly foggy quality of their waters, which gives them an otherworldly, mysterious quality. 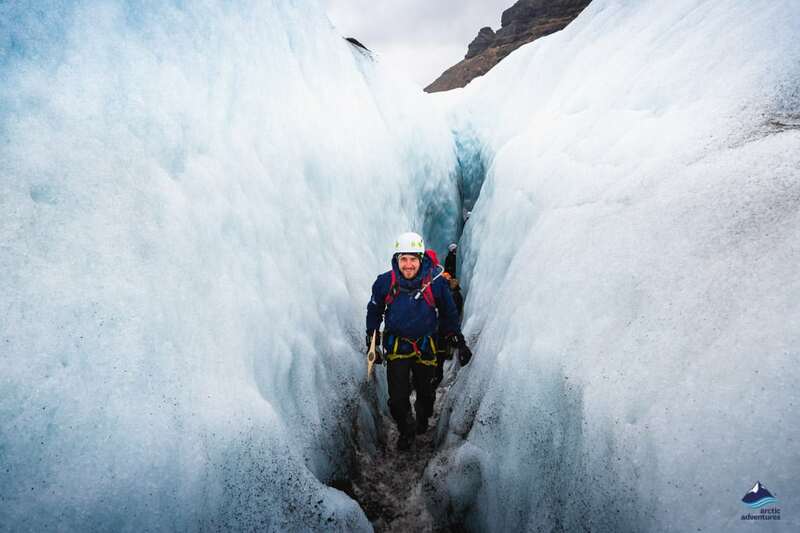 If you fall in love with the Borgarfjörður area, then we would recommend visiting Husafell, where you will be able to journey into an exquisite ice cave, hidden in the depths of a massive glacier (the tour takes between 2-4 hours). 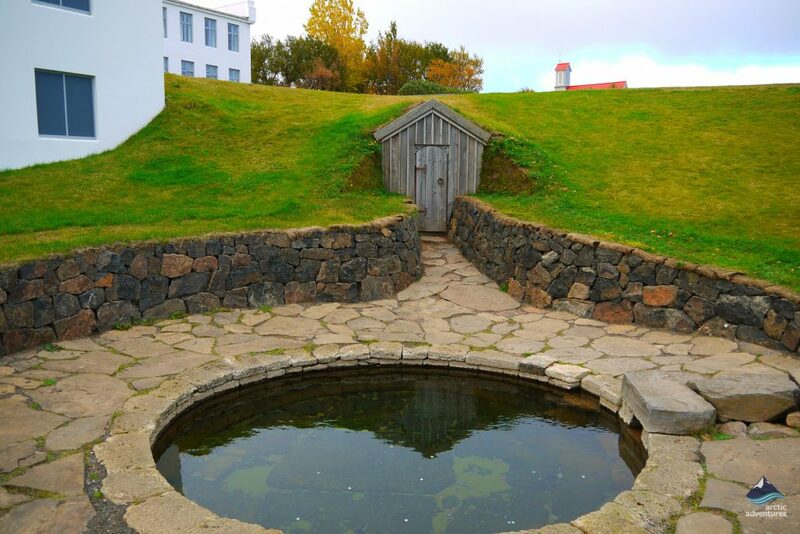 We also recommend stopping at Reykholt, an important historical and intellectual center in Iceland. The famous Icelandic poet and politician Snorri Sturluson lived there, and his house and farm remain in the village to this day, with the naturally occurring hot tub, a particular highlight. Snorri was a very important Icelandic scholar, whose work on the myths and legends that make up Icelandic folklore preserved them throughout the ages. He was also elected as the law speaker of Althingi twice and was eventually murdered, making his life both fascinating, important and tragic. The village is also home to the Krauma geothermal baths and spa, where you can relax amidst more incredible scenery. Your accommodation for the evening will be in a hotel on the Snaefellsnes Peninsula, surrounded by magical scenery and much, much more. 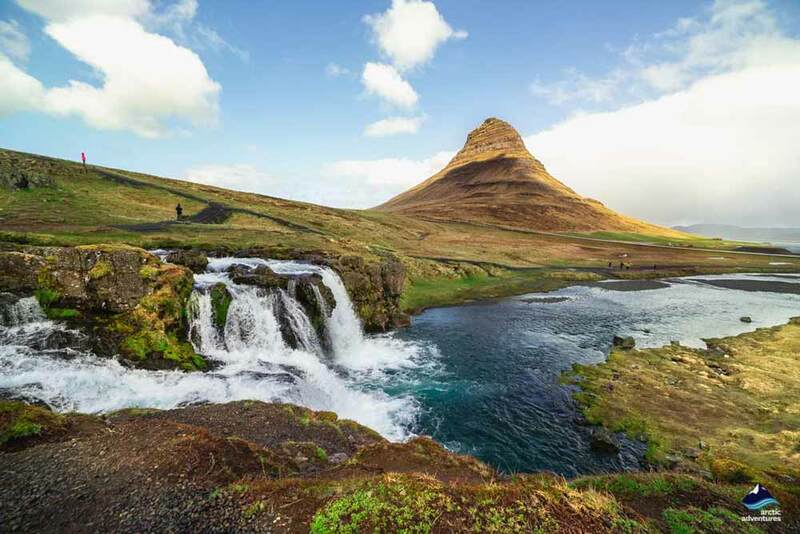 Day two of your adventures will give you the chance to explore more of the incredible Snaefellsnes Peninsula, the area is famous for the way it encapsulates the beauty of the entire country, replete with cascading waterfalls, imperious mountains and coal-black beaches – earning it the nickname ‘Iceland in a nutshell’. You can choose whether to drive it clockwise or counterclockwise, but here we will describe the clockwise route. The first stop on the journey, is Ytri Tunga, a wildlife paradise, renowned for the many seals who bask on its beaches. They are very used to humans, meaning that you will be able to get surprisingly close to these adorable animals. Arnarstapi is now a secluded and picturesque village nestled at the foot of Mt. Stapafell, it was formerly an important trading post, meaning that it used to have a larger population than it does now. It is now home to many incredible seabirds, who reside in the cliffs that surround the village, including a large population of Arctic Terns. There is also a large statue of Bárður Snaefellsás, a half man half troll, who appears regularly in the sagas and gives his name to the area. 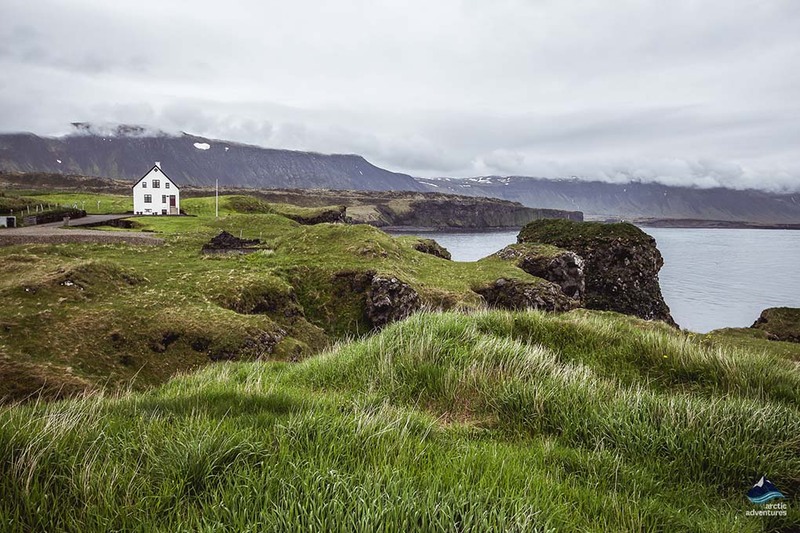 There is an excellent café, that gazes out across the Atlantic Ocean, between Arnarstapi and the nearby village of Hellnar, which is the ideal place to stop and enjoy some delicious Icelandic food, with a spectacular view. 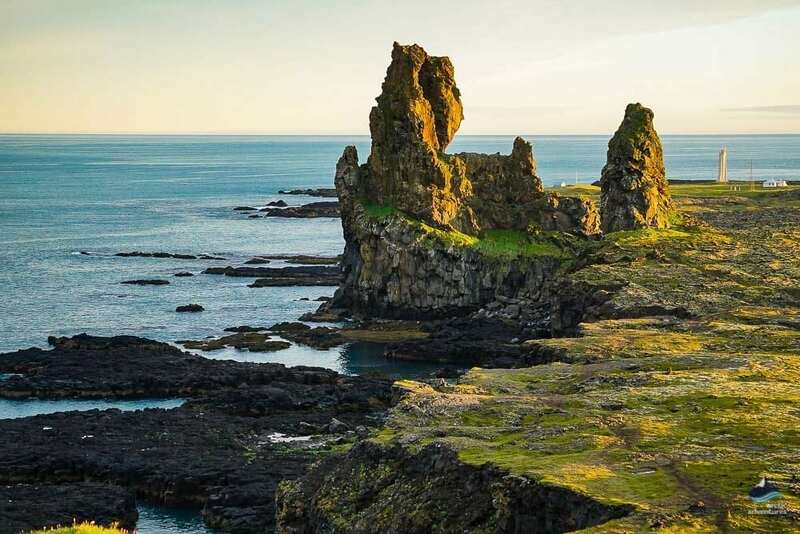 As you pick your way along the jagged cliffs, you will soon find yourself at Londrangar, a craggy rock formation that juts out into the sea and looks a bit like a castle. The area is also steeped in folklore, with local farmers refusing to make hay, due to the belief that the grass belongs to the elves. Londrangar, looms over the black pebble beach of Djúpalónssandur, whose high basalt columns are famed for their beauty. It was once a bustling fishing area, home to at least 60 fishing boats, although it is now abandoned, enhancing the tranquility of the place. The whole area is a wonderland of rolling hills, green meadows and mighty glaciers, making the drive along the coast a truly magical experience. 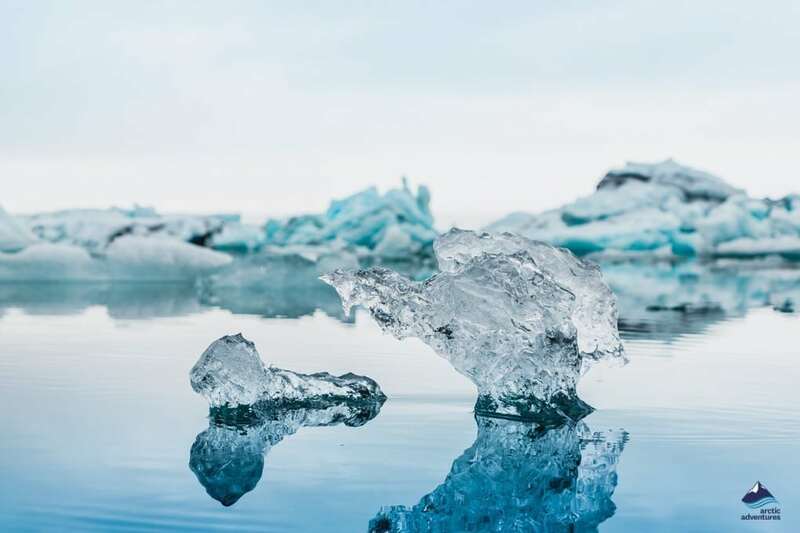 The iconic Snæfellsjökull glacier, will frame the majority of the drive, which hides the famous stratovolcano that was described in Jules Verne’s Journey to the Centre of the Earth. The final stop for the day, is the magnificent, Kirkjufell mountain, a towering pillar of green that rises out of the ground and is spectacularly beautiful. Nestled beneath it is the stunning Kirkjufellsfoss Waterfall, where glacial blue water vaults down into the luscious green valley below: the entire place is a magical symphony of color, making it a breathtakingly beautiful place that everyone should see during their Icelandic adventures. We will arrange a hotel for you somewhere in the area and recommends eating dinner in the nearby town of Stykkishólmur. Day 3 begins with a traditional Icelandic breakfast, served by the hotel that we organized, before you continue on your journey to Hvalfjordur. 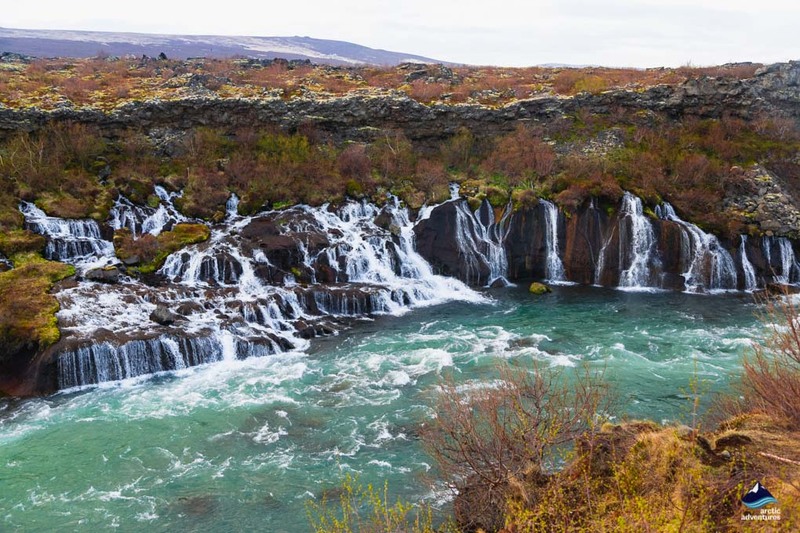 The route will take you past Thingvellir, a UNESCO World Heritage Site, that is both steeped in history and renowned for its incredible topography. It is the location of Althingi, where the Icelandic parliament met for the first time in 930 AD, making it the birthplace of the oldest continuously running democratic institution in the world. 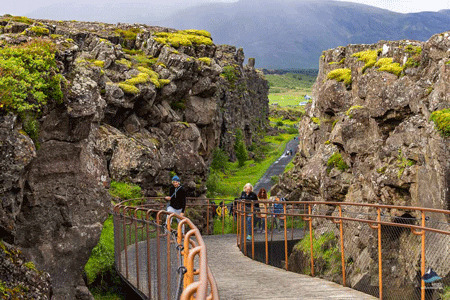 It also sits astride the Mid-Atlantic Ridge, which bisects the continents of Europe and North America, meaning that visitors can actually see the tectonic plates moving apart. 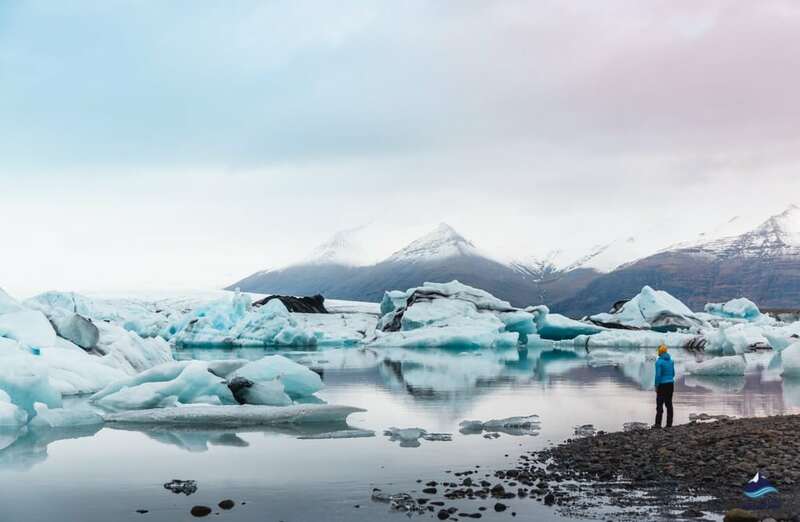 Added to this is a host of incredible natural wonders, ranging from glacial lagoons, gushing waterfalls, idyllic lakes and craggy lava formations. Once you have traversed the magic of Thingvellir, you will pass the stunning Laugarvatn lake, which is surrounded by luscious green hills and is the perfect place for a moments quiet reflection. The Fontana Spa is also in the area: a great place to relax amidst spectacular scenery. 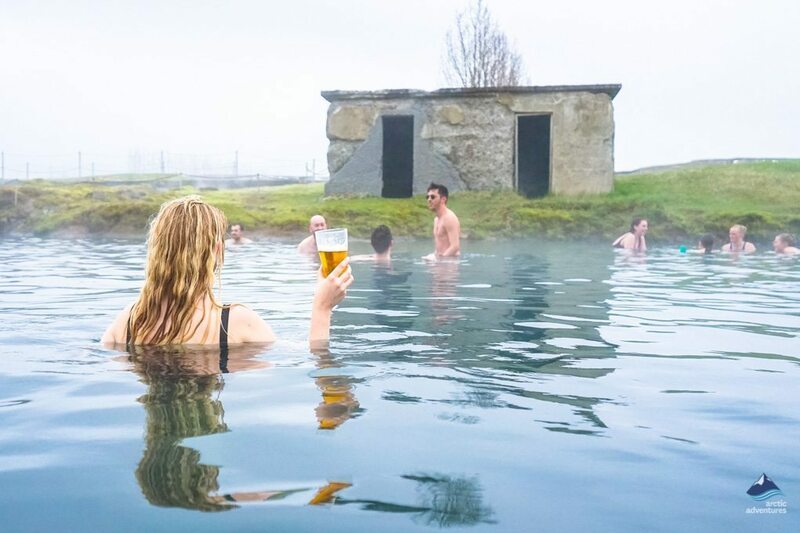 After that you will pass the picturesque village of Fludir, famous for its many geothermal pools and the Secret Lagoon, a naturally heated pool that was opened in the late 19th century, making it the oldest in Iceland. The village of Friðheimar is also on the route, famous for its many home-grown tomatoes, it is the ideal place to grab some lunch. Next, you will arrive at the iconic Geysir area, famous for the many incredible geysers that have come to symbolize Iceland. 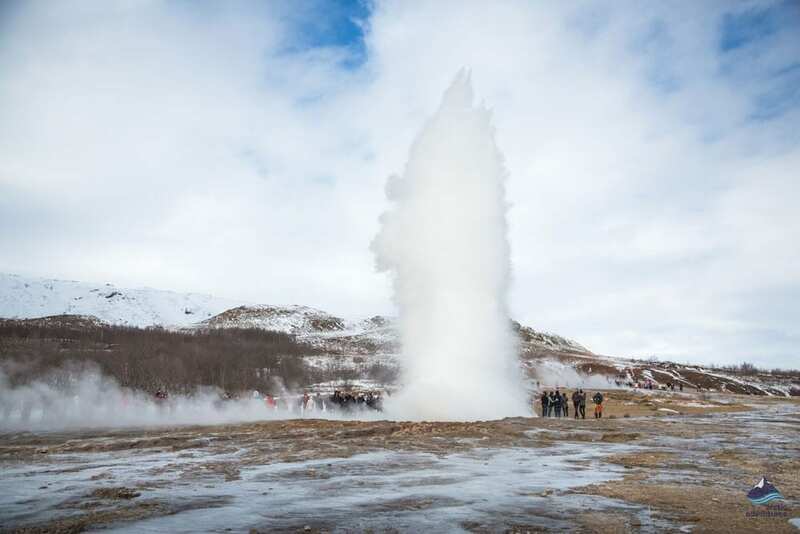 It is home to the world-famous Great Geysir, which is where the English word geyser originates from, along with the more active Strokkur that hurls molten jets of boiling water up to 25 meters into the air, every 4-10 minutes. 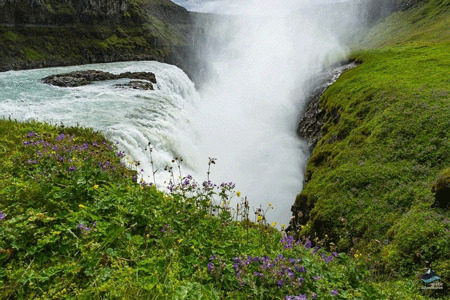 Up next is the glorious Gullfoss Waterfall (golden falls), where roaring frothy white water, tumbles across volcanic rocks into a luscious green valley below. It gets its name from the golden hue that the water takes as it crashes down and glorious rainbows are common on sunny days. 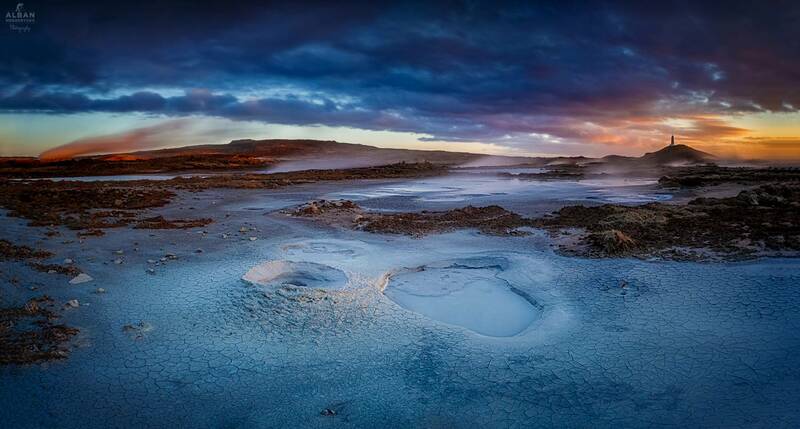 This has made it a favorite of visitors to Iceland: an awe-inspiring sight that you will never forget. 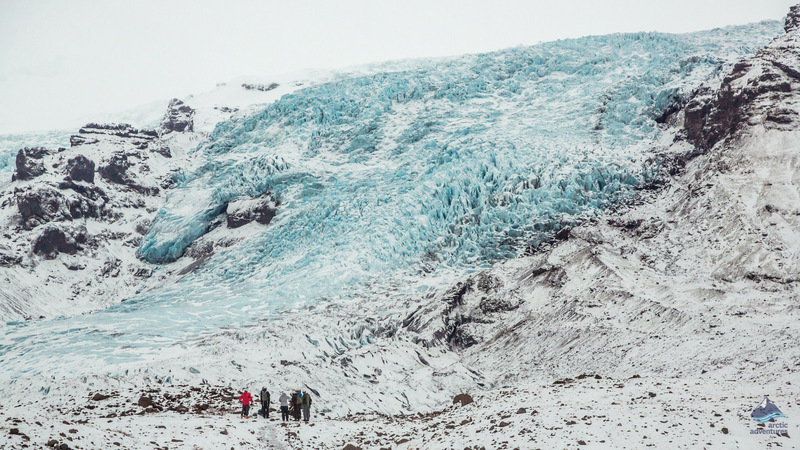 You can also book a glacier snowmobiling tour on the Langjokull Glacier, from the parking lot of Gullfoss and if you decide to do that we recommend getting there early, as the whole process will last between 3 and 4 hours. Your accommodation for the evening will be located along the famous Golden Circle route, or in the villages Hella or Hvolsvöllur, closer to the attractions of the next day. Day four begins with a traditional Icelandic breakfast at your accommodation, before your adventure continues, with Iceland’s beautiful South Coast the next destination. On your way you will catch a glimpse of the capricious Hekla Volcano, which gained notoriety after it erupted in 2010 and grounded much of Europe’s air fleet. 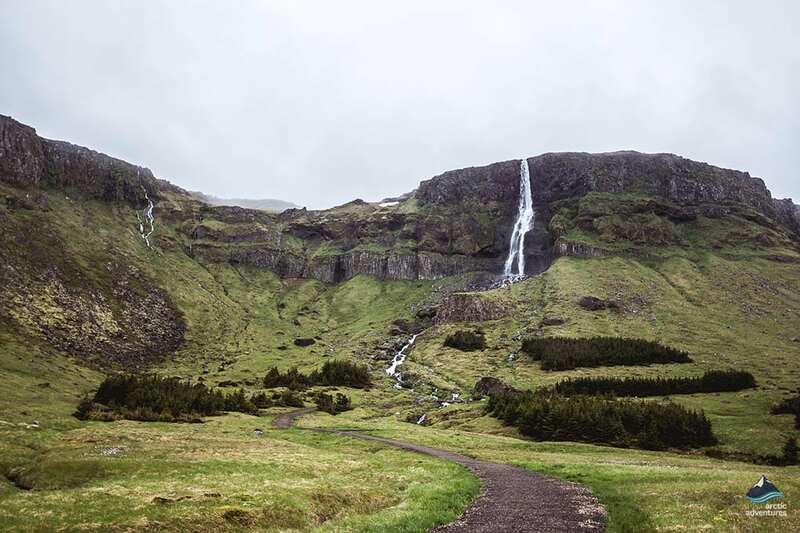 Once you have passed Hekla, the route will take you through the picturesque villages of Hella and Hvolsvöllur, which will bring you close to the majestic Seljalandsfoss waterfall, whose cylindrical stream of water crashes down into the valley below. 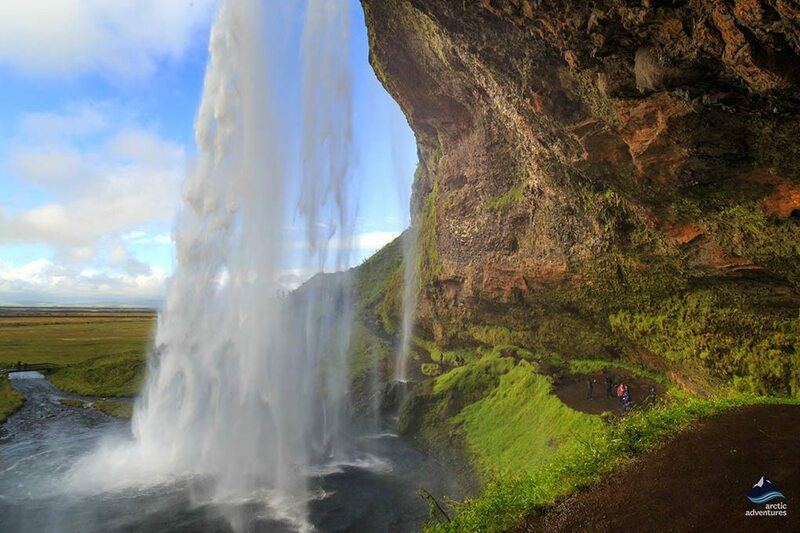 There is a cave hidden behind Seljalandsfoss itself, allowing visitors to walk behind the waterfall and see it from a totally different angle. 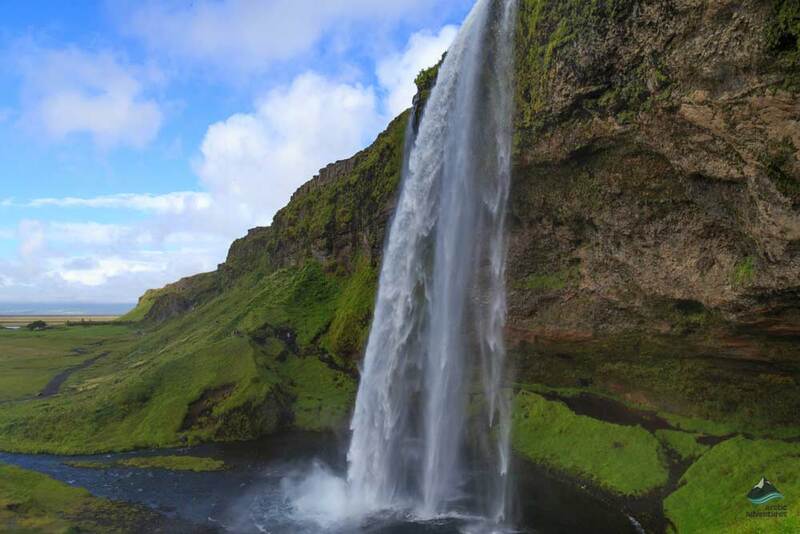 Close to Seljalandsfoss, is the equally beautiful, Gljúfrabúi Waterfall that is nicknamed the ‘secret waterfall’. Hidden in a sheer canyon, with green-carpeted walls, crystalline water rushes down the cliff-face into the abyss below. 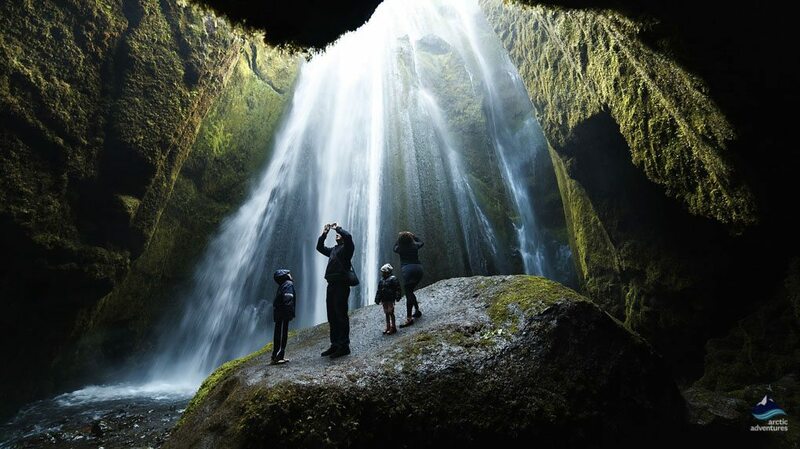 It is a truly awe-inspiring place, although visitors should be prepared to get a little wet when they explore it. 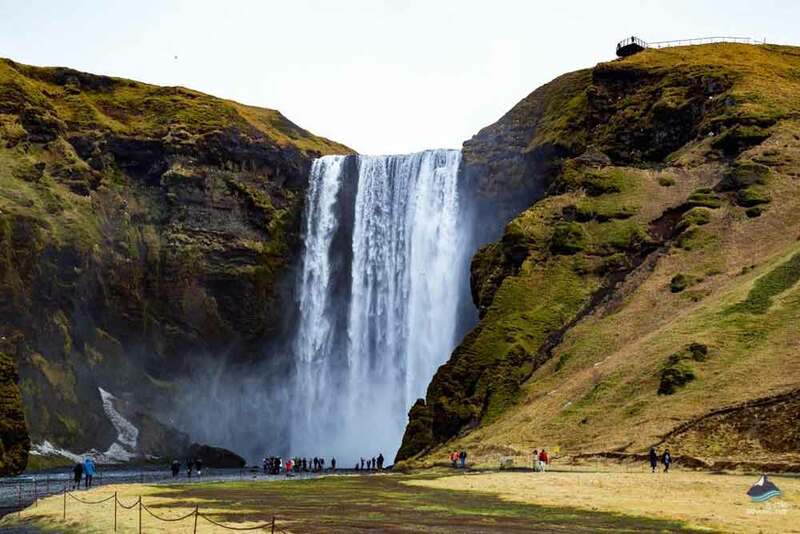 Thirty minutes further along the route is the Skogafoss Waterfall, where a roaring cascade of glacial water tumbles 60 meters down into a pool below. There is a meandering path that curves around the hill and allows visitors to climb to the top, where they will be rewarded with gorgeous panoramas of the surrounding area. Along this path are two fascinating rock formations, nicknamed the trolls, which local legend holds are two petrified trolls that were turned to stone by the sun. 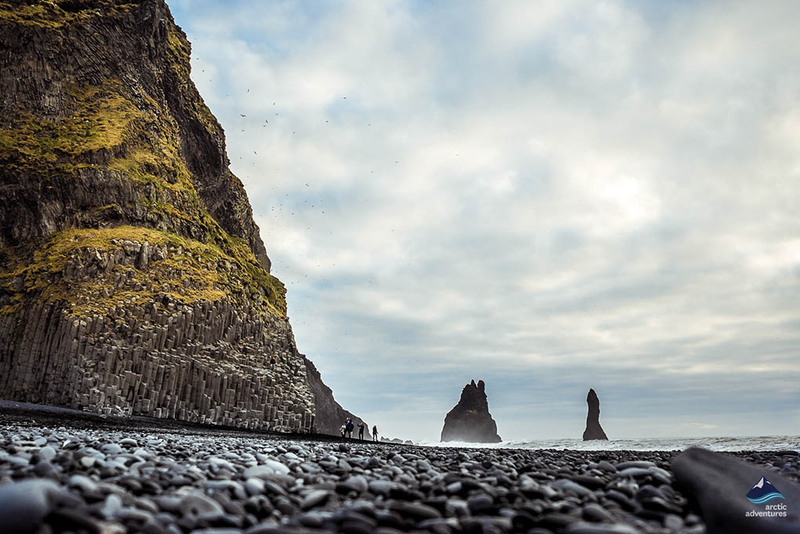 The next stop is the coal-black Reynisfjara Beach, where the white-crested waves of the Atlantic Ocean provide the perfect contrast to the jet-black sands. 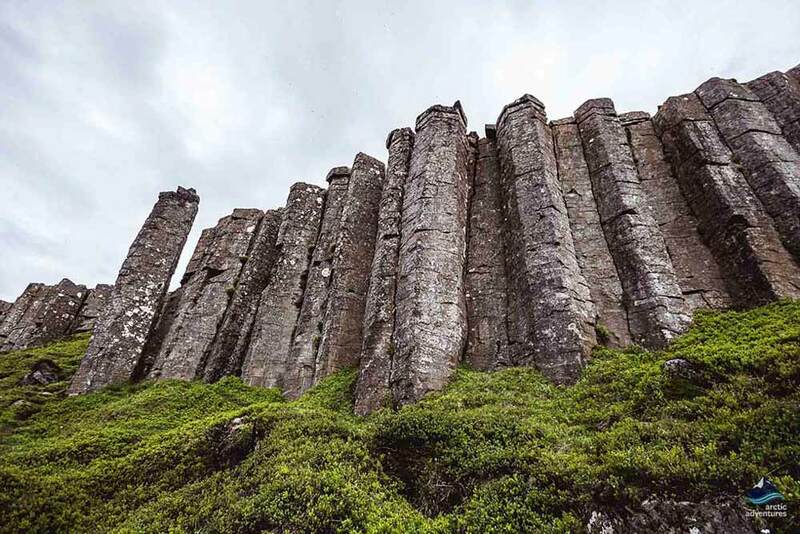 Behind the stretch of sand is a massive cliff populated by incredible basalt columns, which look a bit like a massive organ and are a breath-taking sight, which will remain with you for the rest of your life. The final stop that we recommend is, Dyrholaey, a jagged rock arch that looks like a deep blue window into the ocean. This along with another black sand beach named Reynisdrangar, makes it the perfect way to end a fabulous day. We will arrange accommodation for you half-way along the south coast, near the idyllic villages of Vik or Kirkjubæjarklaustur. Day 5 begins with a traditional Icelandic breakfast in Vik, before you head out into the glorious Sólheimasandur area, renowned for its dark black sands, moss-covered lava fields and the lonely plane wreckage that stands as a monument to a tragic event from Iceland’s past. 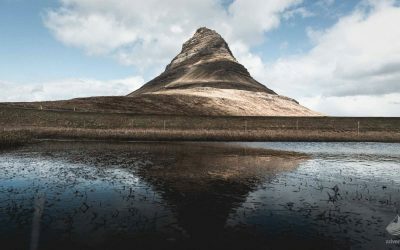 The route will take you through the picturesque town of Kirkjubæjarklaustur, famous for the naturally occurring hexagonal stone floor, Kirkjugólf that everyone who sees it believes is manmade. 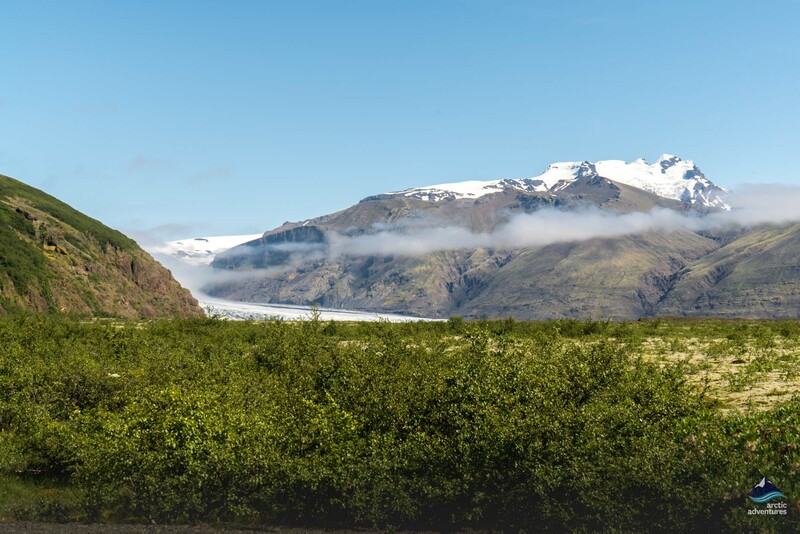 From there you will drive through more dramatic countryside until you arrive at the Skaftafell National Park, where you will meet one of our expert glacier guides, who will take you to the majestic Vatnajökull Glacier, which is Europe’s largest. 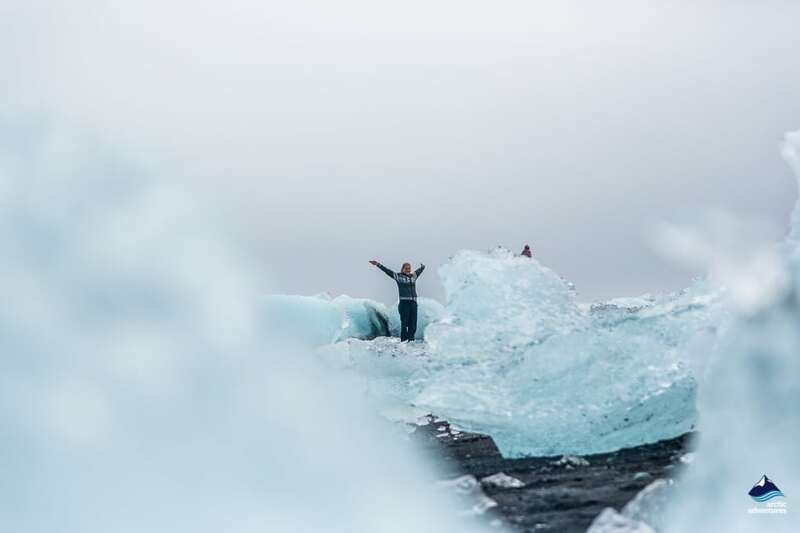 No words can really describe what it is like to hike on a glacier: a vast, white-landscape, carpeted by pristine snow, which is thousands of years old, it is an experience that will remain with you until the day that you die. 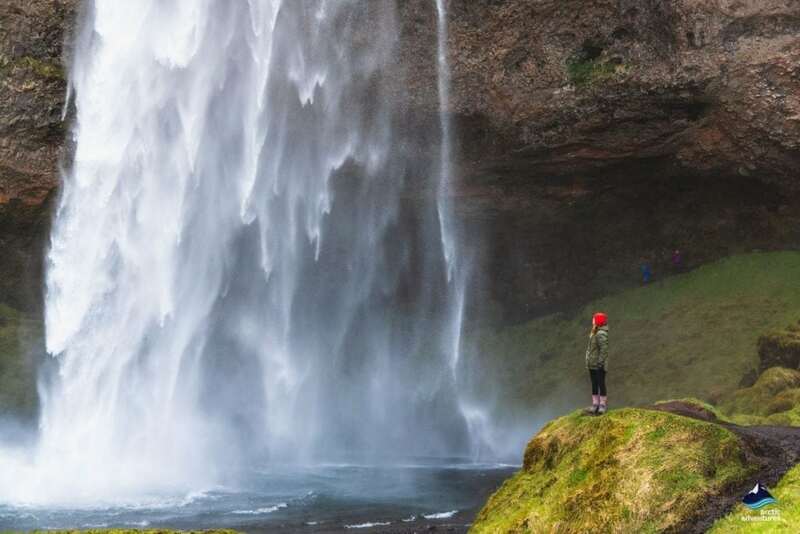 If you are still feeling energetic after your time on Vatnajökull, then we strongly recommend taking the short hike to the Svartifoss waterfall, renowned for the circular stream of roaring water that crashes down over its basalt columns into the green valley below. The beautiful contrasts between the water and the dark black rocks, makes it a truly majestic experience that you are sure to appreciate. 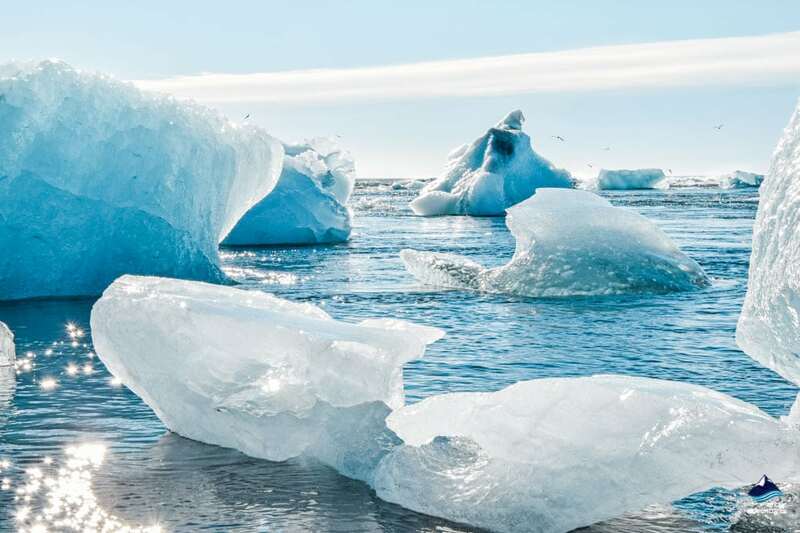 The penultimate stop is the legendary Jökulsárlón Glacier Lagoon, where floating icebergs shimmer in the sunlight as they glide across the sapphire blue water. A truly mesmerizing sight that has an ephemeral beauty that words fail to describe. Equally as beautiful is the aptly named, Diamond Beach, where glittering icebergs contrast against coal-black sands in a sublime spectacle that will take your breath away. 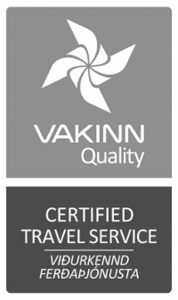 Once you have fully enjoyed these two magnificent places, you will travel to your accommodation, which will be in a hotel in either: Klaustur, Skaftafell or Höfn. 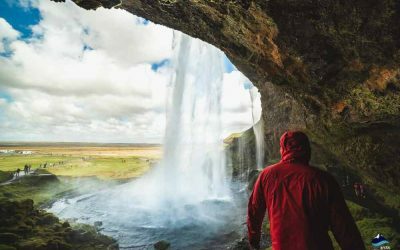 On Day 6 you will start your return journey towards Reykjavik, with the spectacular Fjaðrárgljúfur canyon, the first stop on the route. 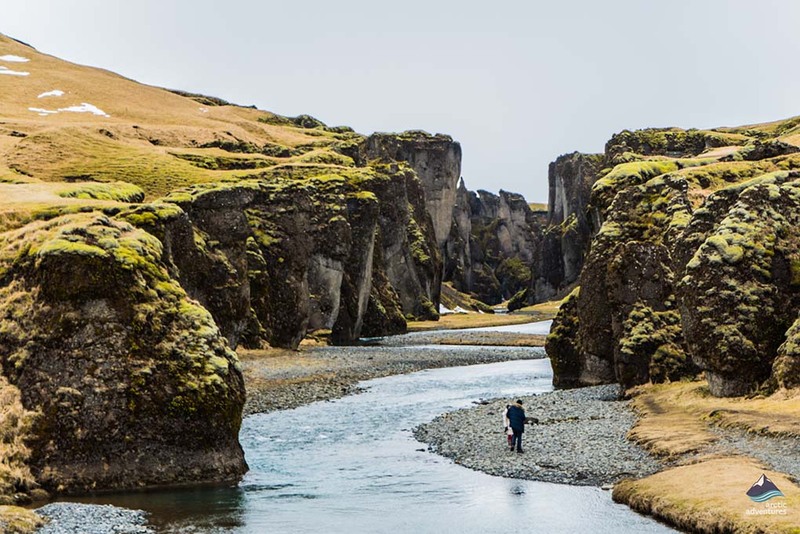 Fjaðrárgljúfur is a vast river canyon, which has literally been hewn into the earth, by the constant erosion of the glacial waters that run through it. 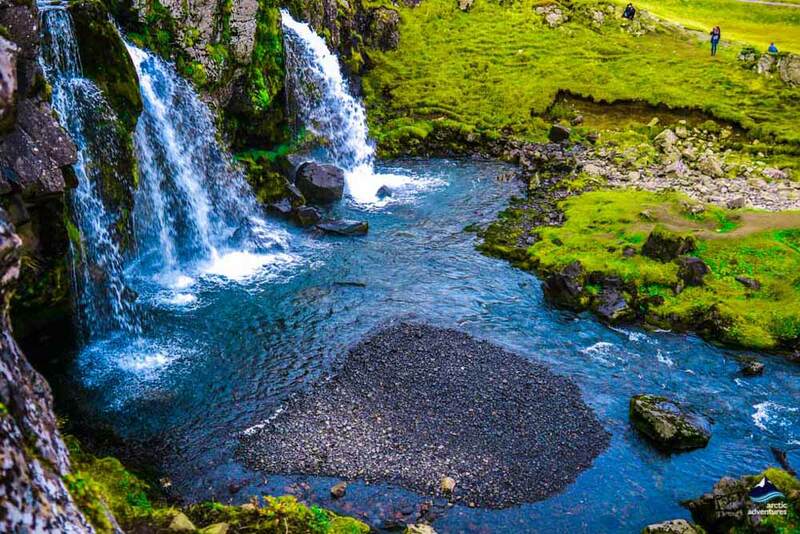 Although not quite as big, it is Iceland’s version of the Grand Canyon and has moss-covered hills and icy blue waters that are sure to excite and delight in equal measure. Once you pass Kirkjubæjarklaustur you will find the less famous waterfalls of Stjórnarfoss and Systrafoss, both stunningly beautiful in their own right and well worth a visit. You could also stop off at either: Kirkjubæjarklaustur, Vik, Hvolsvöllur or Hella and take a swim in a local swimming pool, or get back to the capital early, so you can enjoy all the magic that Reykjavik has to offer. We also recommend stopping off at the Eldhraun lava field, formed after an eruption of 934 that produced the largest single lava flow that the planet has ever seen. This lava flow lasted more then a year and means that the field has a globular or orb like quality to it. These large round lava deposits are now covered in a rich green moss, making it a truly phenomenal sight that everyone is bound to appreciate. 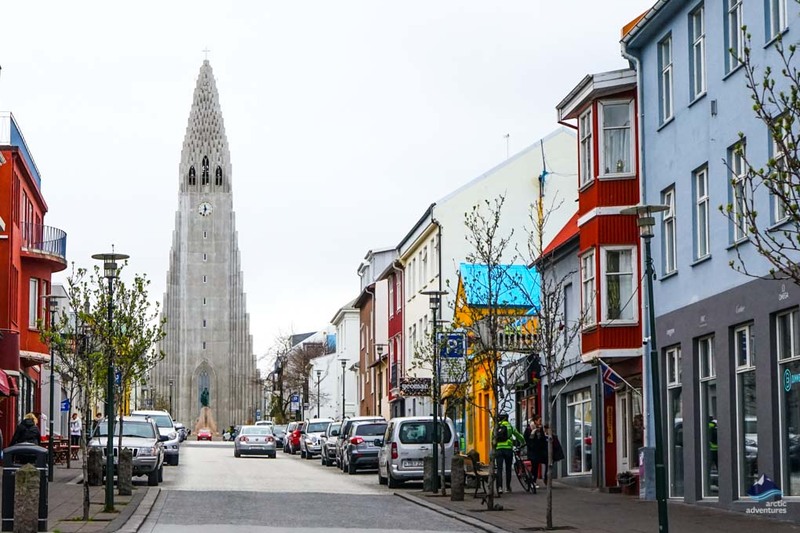 The penultimate evening will be spent in the modern and vibrant city of Reykjavik, ideal for those who want to enjoy a delicious Icelandic meal in a trendy restaurant or enjoy a drink in a chilled-out bar, whatever you are looking for, Reykjavik has something to cater to each and every taste. Day 7 is slightly less organized that the first 6 days and largely dependent on the time of your flight. 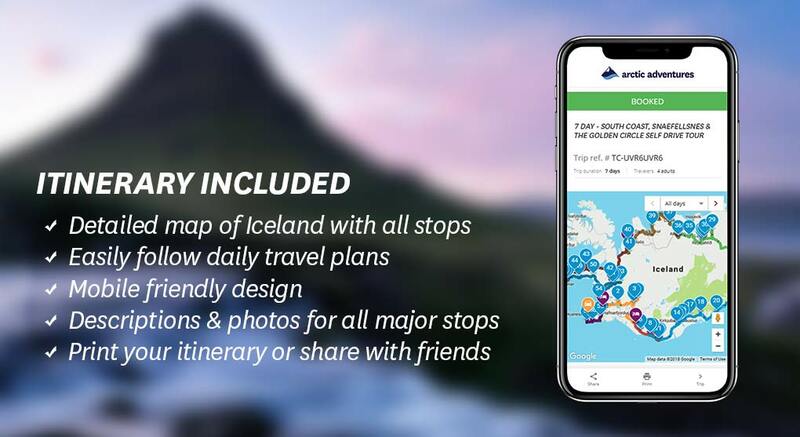 Thankfully, Iceland’s International Airport is located in the beautiful Reykjanes area, offering plenty of incredible activities for those who are looking for something to do. It is a place of intense natural beauty, replete with moss-carpeted lava fields, craggy volcanic craters, spectacular rock formations and the legendary Keilir, a distinctive cone-shaped mountain, which has come to be totemic of the area. You could also visit Lake Kleifarvatn an incredible crater lake, located in close to the Mid-Atlantic Ridge. It stretches down to a depth of 100 meters in places, making it Iceland’s deepest lake. Local legend also believes that it hosts a strange mythical creature: a kind of Icelandic equivalent of the Loch Ness monster. 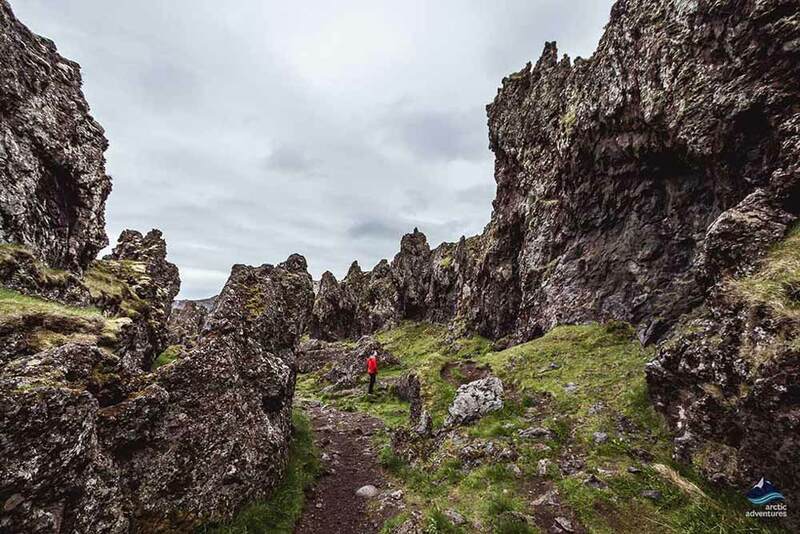 There are several hiking trails that wind around the coal-black cliffs, making it a must-visit during your Icelandic visit. 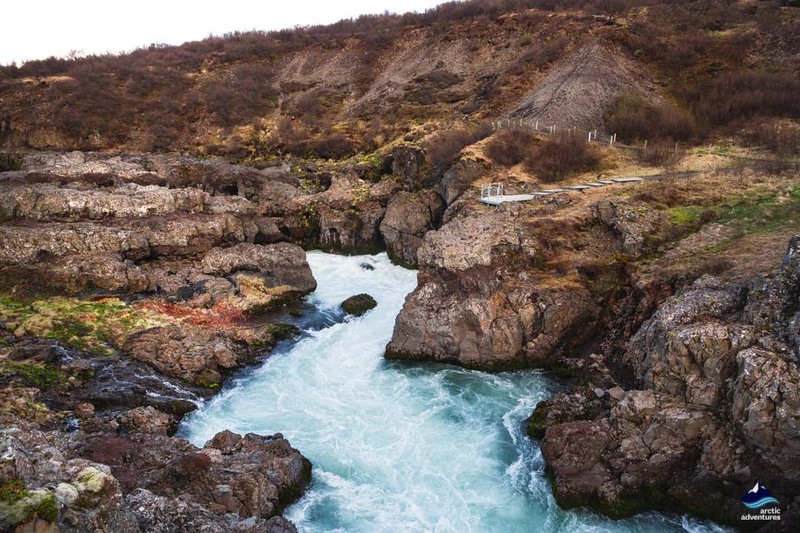 Another point of interest is the notorious Gunnuhver hot springs, supposedly haunted by a vengeful ghost, along with the bridge that links the continents of Europe and North America. While the rustic village of Grindavik is perfect for those who want to see traditional Icelandic life and could be combined with the coastal area near the Eldey, an island that plays host to a plethora of bird species, including kittiwakes, fulmars, guillemots, cormorants and eider ducks. Perhaps the most popular final day activity, is the famous Blue Lagoon, whose nutrient-rich volcanic waters have been used for healing skin conditions for many centuries. 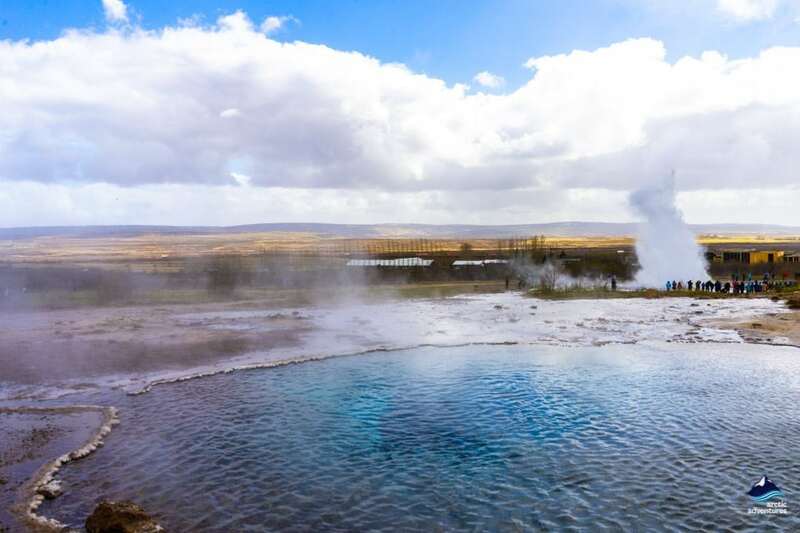 An incredible natural spa, its geothermal waters and stunning surroundings make it the perfect place to rejuvenate yourself before your next adventure. Please note that entry to the Blue Lagoon is not included in the quoted price for the tour, meaning that you will need to book in advance at bluelagoon.com. It’s the ideal way to end your incredible Icelandic adventure.